The next opportunity for Wisconsinites to make their voices heard at the ballot box is tomorrow! You might think a Spring primary is not a big deal. But make no mistake, it is a big deal – every election matters. 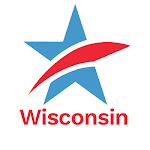 In Wisconsin's February 20th Spring Primary voters will determine which two candidates will run for the critical State Supreme Court seat being vacated by retiring conservative, Justice Michael Gableman. 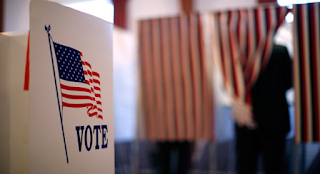 To learn more about the State Supreme Court primary election candidates, go here. Voters will also choose two Court of Appeals judges and Circuit Court judges in counties across the state. Also, keep in mind that – because Spring elections tend to have a much lower turnout – individual voters can actually have a far greater influence on the outcome of these elections. So please don't sit this one out. You can ask for AND vote with a provisional ballot. But, for your ballot to be counted, you MUST either come back to your polling place with an acceptable form of ID before it closes at 8:00 pm tomorrow OR bring your ID to your municipal clerk's office by 4:00 pm the Friday after the primary election (February 23rd). Before you head out to the polls, check to see that you are registered to vote at your current address. If you are not, be sure to bring a proof of residence document (hard copy or electronic on your cell phone or tablet) when you go to the polls tomorrow so that you can register there. Remember: EVERY election is important. Make a plan today so you can make your voice heard at the polls tomorrow – and encourage every eligible voter you know to do the same! Be Sure You Are Ready to Vote in Tuesday's Primary ElectionTweet this!